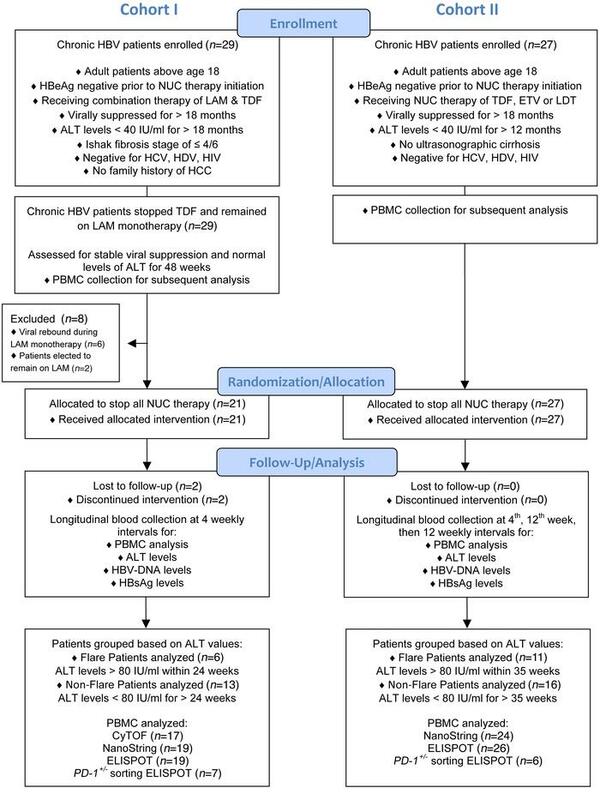 Enrollment, follow-up, and analysis before and after stopping NUC therapy for the UK (cohort 1, left) and Asian (cohort 2, right) chronic HBV patient cohorts. For more details on the enrolled patients, refer to Tables 1 and 2. HCC, hepatocellular carcinoma.